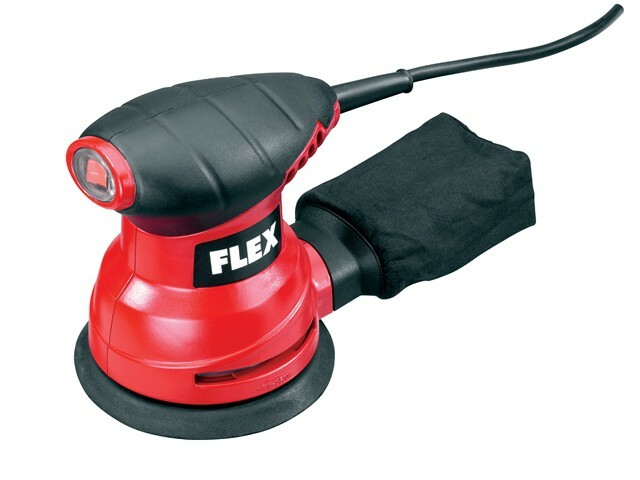 The Flex X713 Flex Random Orbit Sander is a compact, handy and lightweight machine with a quiet-running motor. It has an ergonomically designed, non-slip, soft-grip handle for safe and comfortable working. The hook and loop backing pad allows easy abrasive attachment. The sander has a dust-proof on/off switch and integrated dust extraction with a dust filter bag. It can be connected to an external dust extractor using the supplied adaptor. Supplied with: 1 x 125mm Hook & Loop Sand Paper (8 Perforations), 1 x Dust Bag and 1 x Adaptor for Dust Extractor.